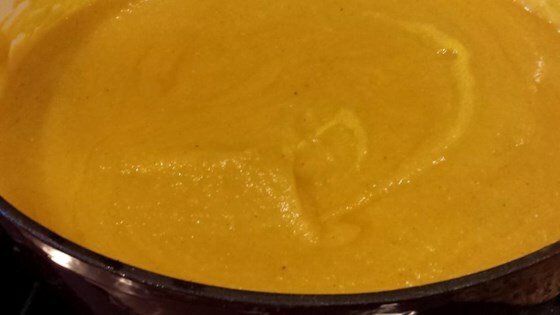 "This soup is quite simple to make and is a good comfort food on a cold winter's night." Yum. I used more sherry than the recipe called to puree apple mixture. Worth the time. Fun to roast squash and the aroma can't be beat. Not everyone would like this soup but I enjoyed it very much, as I love curry, etc.